5 Bedroom Detached Bungalow For Sale in Truro for Offers in excess of £450,000. This very spacious deatched dormer bungalow is located in a lovely rural setting with green land surrounding. A well presented 5 bedroom detached dormer bungalow, with intergral garage, workshop and a spacious family garden. Large Lounge with feature fireplace, kitchen/breakfast room, 3 bedrooms/reception rooms and bathroom to the ground floor. To the first floor there are 3 bedrooms, shower room and an attic room. To the outside there is off-street parking, garage and to the rear is a generous garden. An additional 2.5 acres of land is available with the property and the vendor is open to seperate offers on this option. 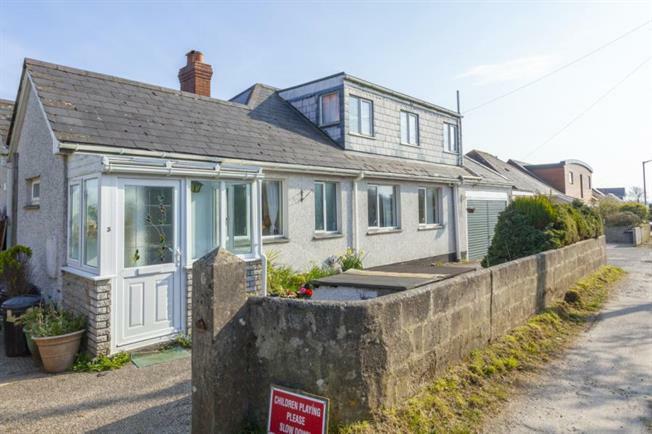 Located in Goonhavern, within easy reach of Truro and the A30, this property would be the perfect setting for a growing family and country lovers alike. We highly recommend a viewing and it will not disappoint. Double glazed windows to rear elevation. Double glazed French doors giving access to rear garden. Multi fuel burner with back boiler. Radiator. Double glazed bay window to rear elevation. Radiator. Obscure double glazed windows to front elevation. Recently refitted three piece suite comprising panelled bath, low level WC. Vanity wash hand basin with mirror unit over. Extractor fan. Radiator. Tiling to splashbacks. Under floor heating. Double glazed windows to front and rear elevations. Veluxe window. Radiator. Double glazed windows to front end rear elevations. Radiator, access to loft area / room. Double glazed window to front elevation. Shower cubicle. Low level WC. Pedestal wash hand basin. Radiator. Double glazed windows to rear. Access door to garden. Light and power. There is an option to acquire 2.5 acres of pasture land in addition to the existing property. This land will only be sold with the existing property and not seperately. The price of £450,000 is not inclusive of the land.